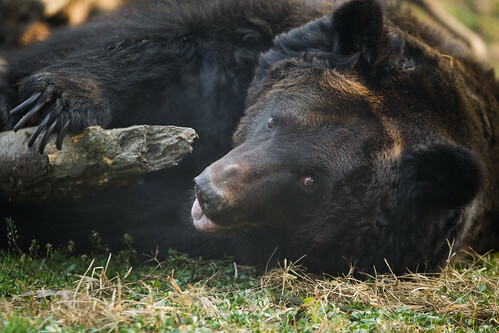 #moonbearmonday is staying on hiatus for one more week as we introduce you to brown bear Iris. 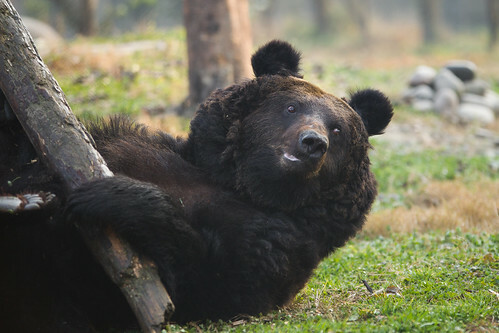 Iris is a Eurasian brown bear rescued from a horrific bear bile farm in Shandong province in April, 2010. She had been through the worst torture imaginable, incarcerated with a “full metal jacket” which held an open fistula to constantly drain the bile out of her gall bladder. To this day, she still bears the scars where the jacket disfigured her body. 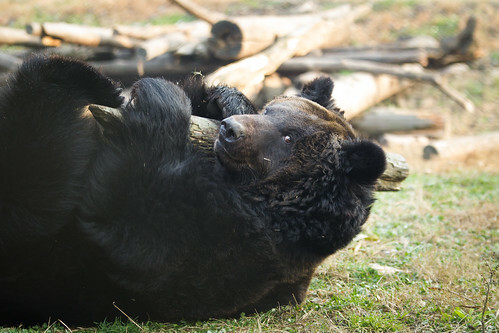 As these pictures and video show, there’s no end to the amount of entertainment a powerful brown bear like Iris can get out of a log. 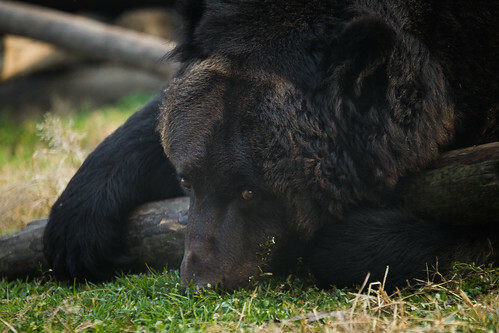 Happy brown bear Monday everyone!